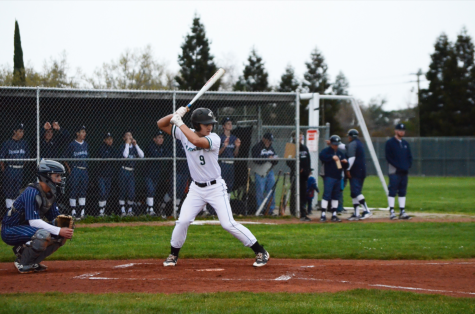 Billy Fan (10) reaches up to hit the ball during a game against rival Monta Vista High School on March 22. 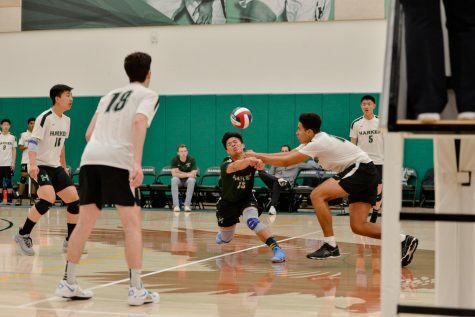 The boys’ volleyball team, currently 14-1, was ranked first in the Central Coast Section (CCS) and seventh in both the state and the nation in the latest standings released by MaxPreps. 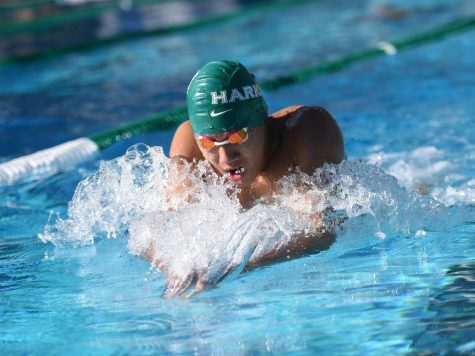 This represents the first time that any Harker team has been ranked first in the CCS, according to Upper School Athletic Director Dan Molin. “We have a pretty similar team to what we have last year and we’re just trying to build off what we had last year. 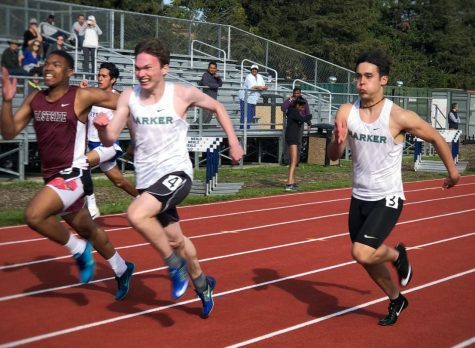 We got second in CCS and second in NorCal last year, and we’re just kind of picking up where we left off,” Jeffrey Kwan (11), a co-captain of the team alongside Charlie Molin (12), said. 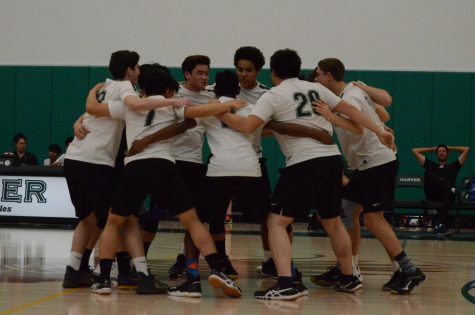 The boys began the season strong, not dropping a single set for eight consecutive games. 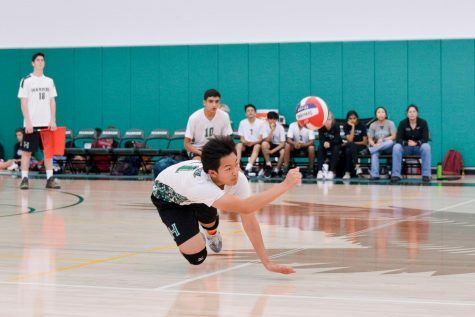 Their first and only loss so far came against Palisades High during the Best of the West tournament. 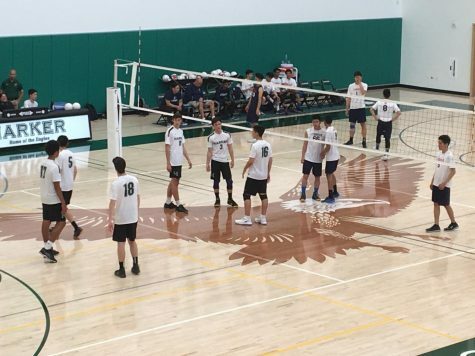 Initially seeded 30th out of 32 teams in the tournament, the Eagles placed fifth overall against the best teams on the West Coast. 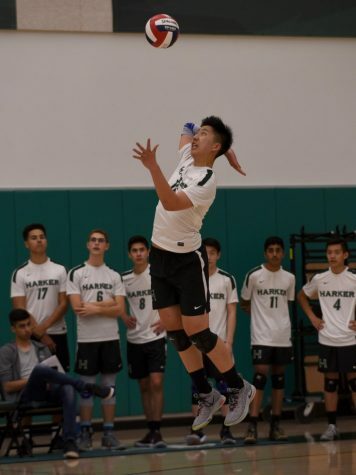 After their most recent 25-15, 25-19, 25-17 win at Los Gatos high school today, the boys boast a 38-4 record in terms of sets. 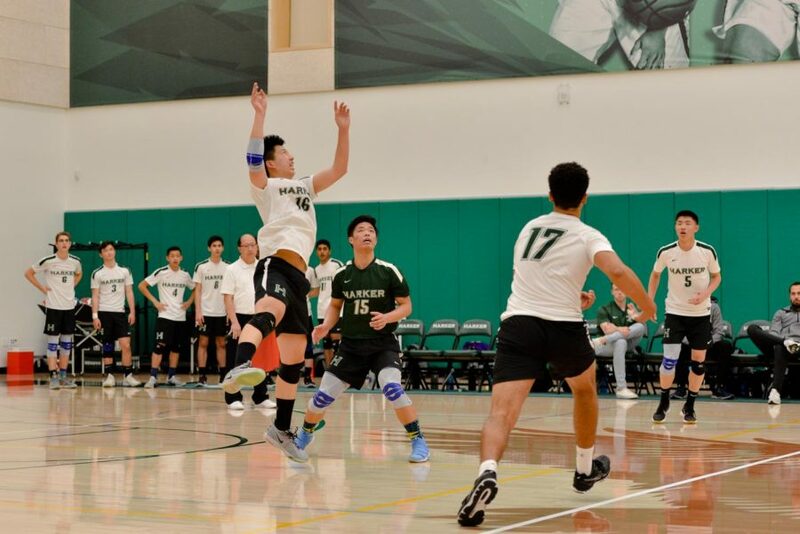 The team, coached by head coach Chad Gordon, attributes this success to their strategy of playing “smart” volleyball. An example of this smart volleyball comes with focusing on minimizing errors when playing “out-of-system”, where the first contact does not generate a good pass. The lack of change in team composition from last year has also gone a long way in improving chemistry and providing players with valuable experience. 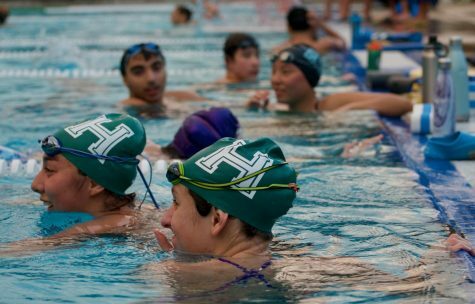 “It’s kind of a philosophy that coach has instilled in us of what we’re trying to do, but I think it really came together this year where we’re actually executing,” Jeffrey said. The Eagles have a home matchup against league rivals Monta Vista (8-3) on Friday at 5:45 p.m, who is ranked fourth in the CCS. 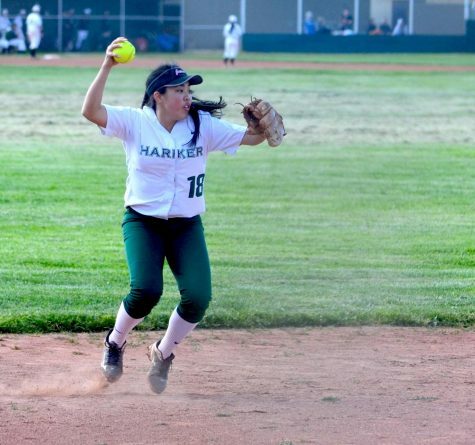 The Eagles defeated the Matadors 2-1 at the Best of the West tournament, and look to extend their streak.